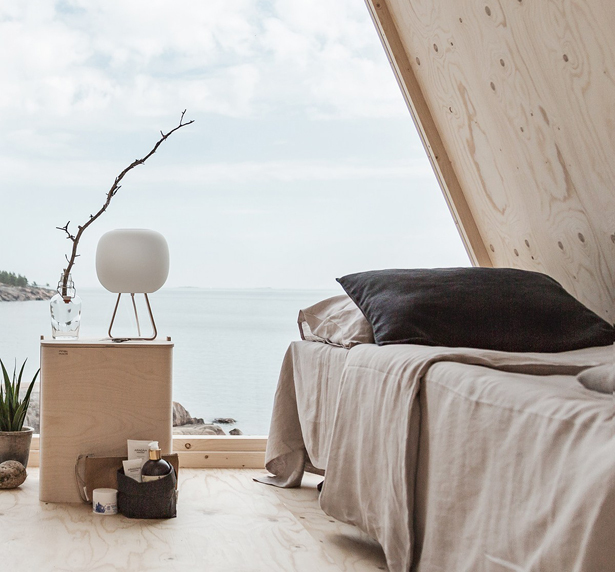 In spirit of demonstrating the way of living with minimal carbon footprint in every aspect, Robin Falck has designed and developed Nolla Cabin. It’s a beautiful space where people can experience a more sustainable way to live. 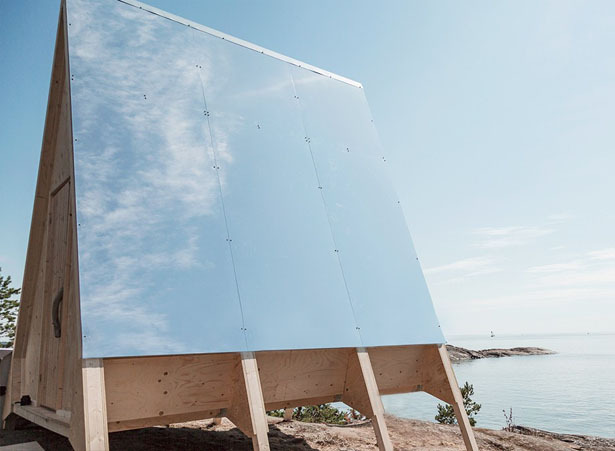 This little cabin is located on Vallisaari, a small island in Helsinki, it wants to demonstrate the possibility for us to live a low-impact daily life through the use of renewable energy and self-sufficiency. 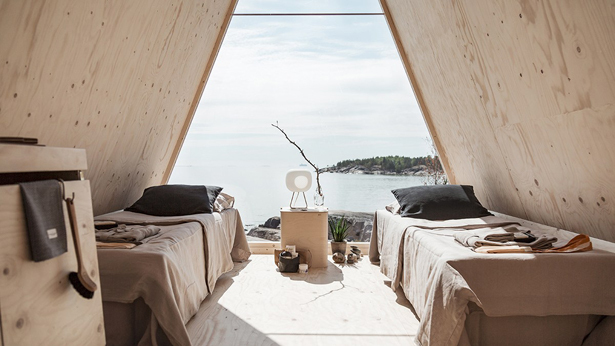 This cabin is designed and developed to function entirely on renewable energy and excludes most modern commodities. 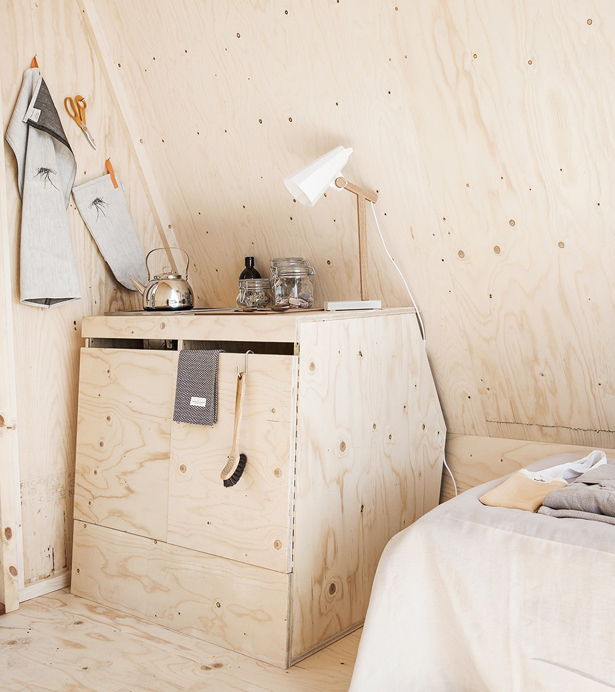 It’s a 10m 2 dwelling space that can be easily assembled and dissembled for easy transport. Nolla Cabin by Robin Falck offers a great environment for a relaxing getaway, guest can enjoy a quiet and peaceful environment, a chance to distance themselves from busy daily routines and obligations. 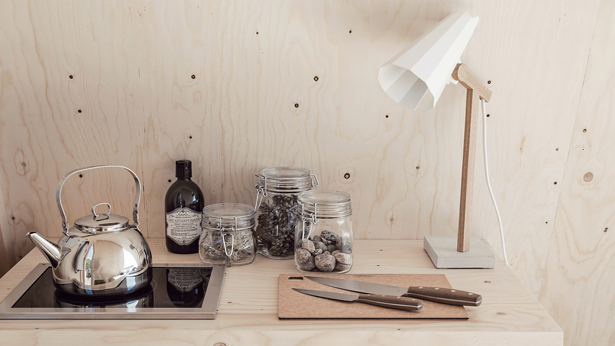 The structures of this cabin are fastened together with screws, making them easy to take part as well as put together, just like a puzzle. It has adjustable pedestals to allow the cabin to adapt to different kinds of terrain. Even a replica of any part of the structure can be easily made from scratch by anyone, just as long as they have timber. Robin Flack wants to bring back the culture of repairing things, nowadays, we often quick to buy a replacement rather than fix what we already have, that is definitely not a sustainable way of living. That’s why Nolla Cabin has been designed to be easily fix, offering infinite number of life cycles.